How many times have you encountered an older person, or someone who has lived in your city or town — or even your neighborhood — for many years, who laments the current state of the community? “Things just aren’t the same,” they might say. “This place used to be so much better.” Crime, poverty, economic downturns, and poor leadership have all taken a toll on our communities, turning once vibrant places where people do not know their neighbors and don’t have any sense of belonging. Everyone wants a nice place to live, where they can feel safe to walk the streets, and where they have strong relationships with their neighbors — and where they know that everyone is getting what they need to live healthy and prosperous lives. Too many people feel powerless, unsure of where to start making positive changes and to make a difference in their communities. However, everyone can make a difference in their community, and be a positive force for change. From the small things that make a neighborhood a nice place to live to serving in a more substantial role in city government, everyone can do something to help their community do great things. Consider this list — you might realize you have more power than you think. One reason communities fail is that the members don’t know each other. Neighbors can live in close proximity for years without even learning each other’s names. The first step to building a strong community is to get to know your neighbors. Say hello, introduce yourself, and perhaps drop off some homemade baked goods. Consider throwing a block party, so that everyone can get to know each other better, and make connections that are vital to a thriving community. One of the secrets of real estate is that the condition of the homes and yards in your neighborhood make a difference in the value of homes — and the perception of the neighborhood as a whole. Take time to make your yard look nice to help set the tone for the street. You don’t need to invest in expensive landscaping, but keeping the lawn mowed and adding a potted plant or two to the front porch shows that you take pride in your home, and may inspire others to follow suit. Don’t limit your efforts to your own yard either. When you take you evening stroll, bring along a garbage bag to collect litter, or offer to help a neighbor who has mobility issues with his or her lawn. When everyone works together, the entire community looks nicer – and there’s a greater sense of pride. 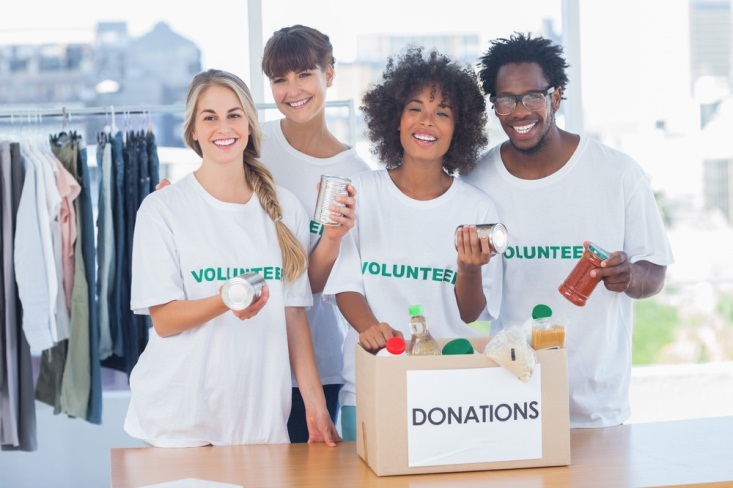 Many people avoid volunteering because they don’t think they have the time, and expect that they will have to make a huge commitment. However, you can make a difference giving time in small increments. Devote one afternoon or evening a month to giving back to an organization that’s meaningful to you. Even just a short stint can make a measurable difference, and help you feel more involved in your community. It might also help you identify other ways in which you can help and bring people together. For example, does the local food pantry or soup kitchen need canned goods? You could organize a neighborhood food drive. Small things make a difference, and nothing brings a community together better than working toward a shared goal. While most adults over age 18 have the right to vote, the average voter turnout in any given election is about 39 percent. Some races are determined by just a few votes, meaning that your vote can make a difference, especially in local elections. Exercise your privilege, and encourage others to do the same. Some people hesitate to serve in local elections because they are reluctant to campaign, or because they feel they aren’t qualified to serve. However, many committee seats are filled by average citizens who have a passion for a particular issue. For example, you might be able to serve on an arts and culture or environmental committee, making decisions that add to the quality of life in your community. Many of these roles go unfilled, especially in smaller towns and cities, so contact your local government to see where volunteers are needed — no campaigning necessary.